The United States: Will the strength in consumer spending persist going forward? While economists expect consumption to remain strong this year (helped in part by the new tax bill), it’s hard to see the US consumer staying this enthusiastic for too long. 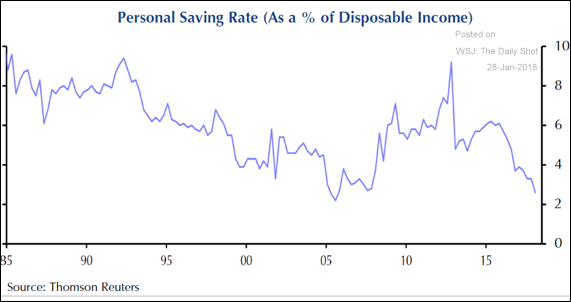 That’s because the savings rate as a percentage of disposable income is at a decade low. 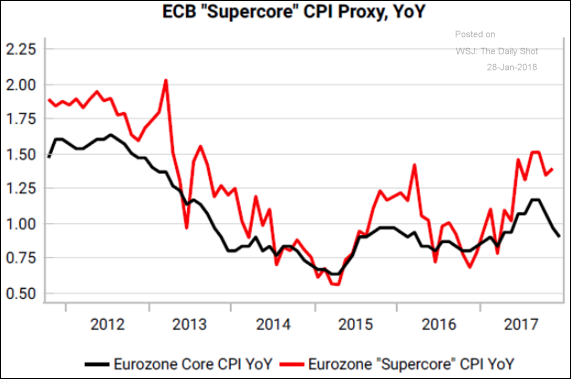 The Eurozone: Some argue that the rise in the Eurozone’s “supercore” CPI, which excludes the cost of package holidays, should be enough for the ECB to remove some of the stimulus. 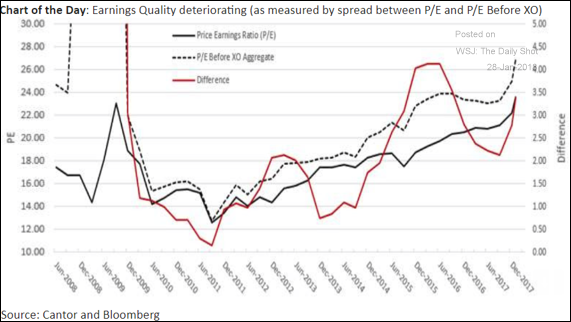 Equity Markets: This chart shows the P/E ratio with and without the ‘extraordinary items’ (XO) in the earnings reports. 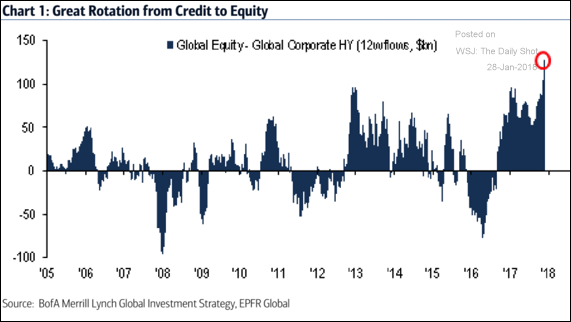 Credit: Is this an indication of a credit-to-equity rotation of just ‘idle’ capital flowing into the stock market? 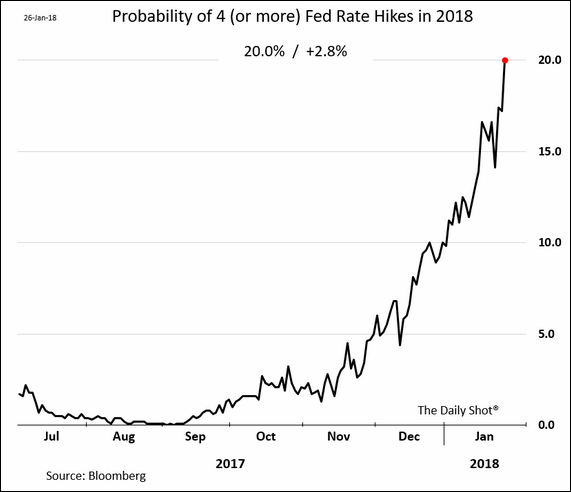 Rates: The market-based probability of 4 (or more) Fed rate hikes this year hit 20%. 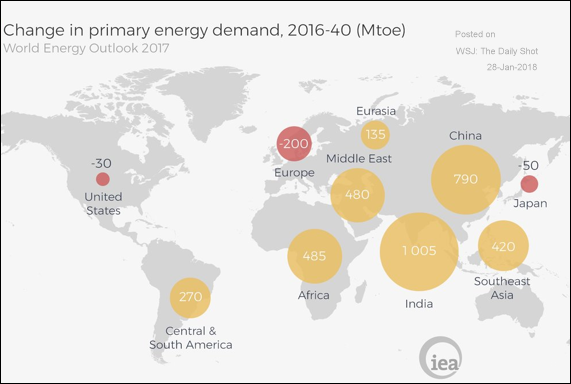 Energy Markets: Where will the new demand for energy come from in the decades to come? Food for Thought: Superbowl statistics.